The first of three peaks on the ridge to the west of Boughil. Cnoc na gCapall is the 220th highest place in Ireland. Picture from group : View from the E with the rest of the Boughils behind. Picture: View from the E with the rest of the Boughils behind. 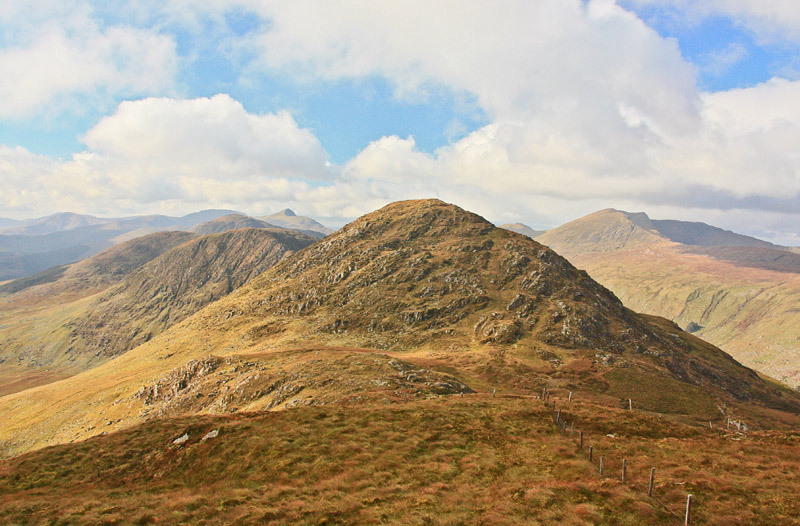 Horses hill: Classic Kerry summit with views, wilderness and good environment. Park the car at Barfinnihy Lough where there is quite a large lay by V 851 768 A, room for 10 cars.